In 2007 the history of CT changed again with the introduction of 160 mm wide Dynamic Volume CT. The Aquilion ONE revolutionized Computed Tomography as its unique features opened the way to diagnose a larger patient population and more diseases than ever before. Next to the standard anatomical imaging you now have access to high resolution isotropic 160 mm wide Dynamic Volume CT to diagnose morphology, joint movements or even patients with cardiac arrhythmia. This leap is only possible with Canon’s Aquilion ONE, the only scanner with 160 mm coverage and a 320-row detector. The wide 160 mm wide coverage eliminates the need for helical scanning when scanning heart, brain or other organs. 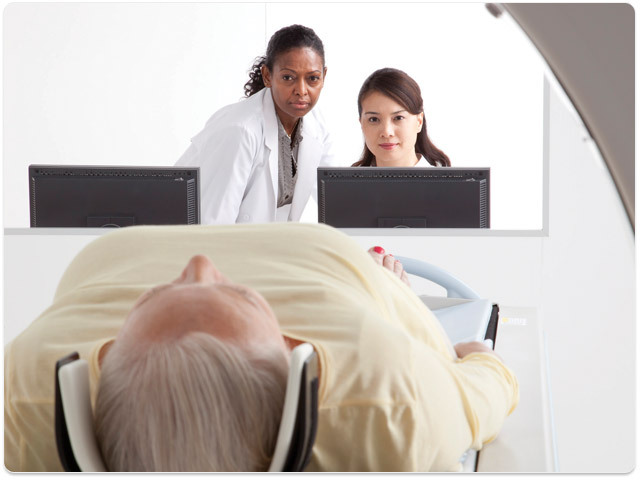 The short one rotation scan procedures not only reduces the risk for patient or cardiac movement but also lowers the exposed dose and minimizes the amount of contrast media needed. The entire heart can be captured in one rotation and within one isotropic phase, the sophisticated software allows you to scan patients with arrhythmia while maintaining an extremely high success rate. Each scan provides incredible motion-free images of the coronary arteries with homogenous contrast enhancement. The ability to acquire complete organs without helical movement opens the door to new diagnostic possibilities. The Neuro ONE volume protocol for example allows you to acquire a complete native brain together with multiple contrast enhanced low-dose volume scans resulting in a complete acute stroke workup within 5 min. Dynamic volumetric acquisition protocols are also used to review moving joint structures in 3D, dynamic blood or air flow and provide you with new clinical applications and extending diagnosis. Industry’s first Dynamic Volume CT scanner with the capability to acquire 16 cm of anatomy in a single rotation. The ability to acquire anatomical and functional data simultaneously to change and improve clinical pathways. 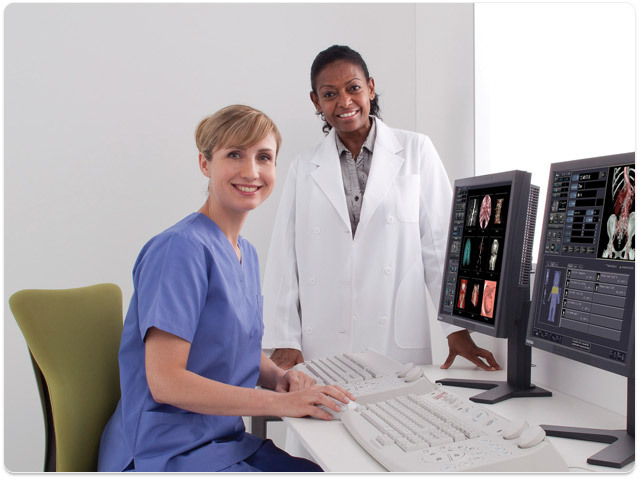 ULTRA FAST WORKFLOW Aquilion ONE ensures a short time to diagnosis even for the most complex examinations providing the information needed to start the best treatment. ONE FAMILY APPLICATION A sophisticated suite of clinical applications especially developed for Aquilion ONE™.